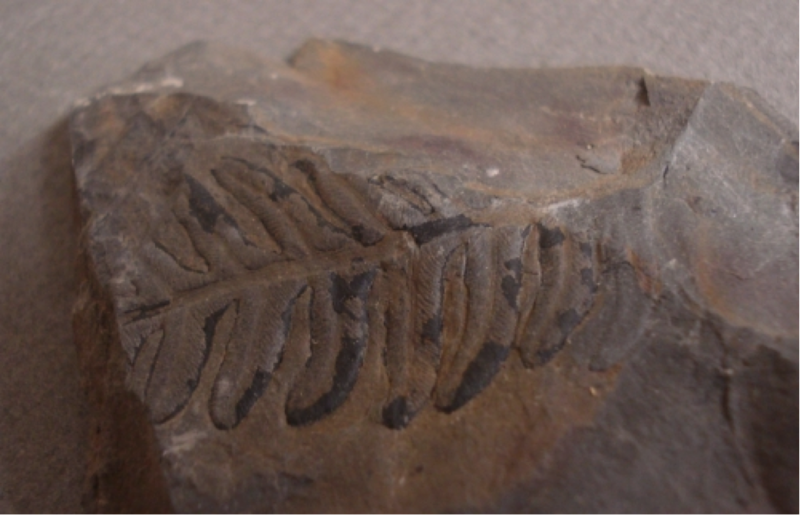 Ferns are a very ancient family of plants. 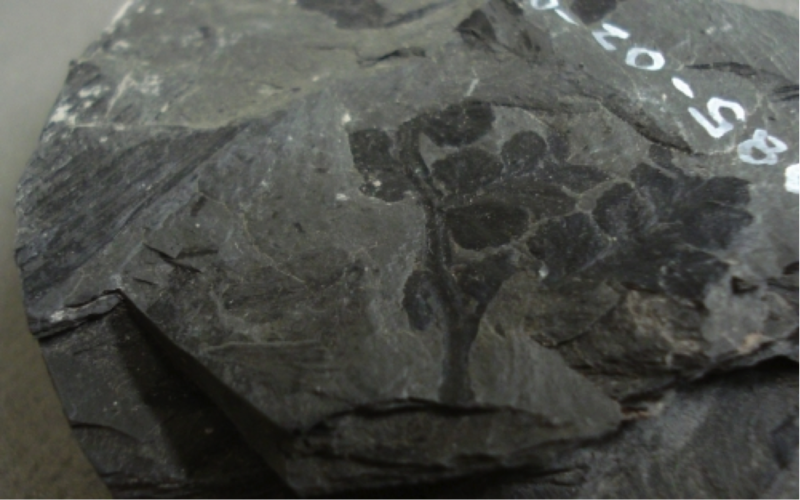 They predate the beginning of the Mesozoic era, 360 million years ago. 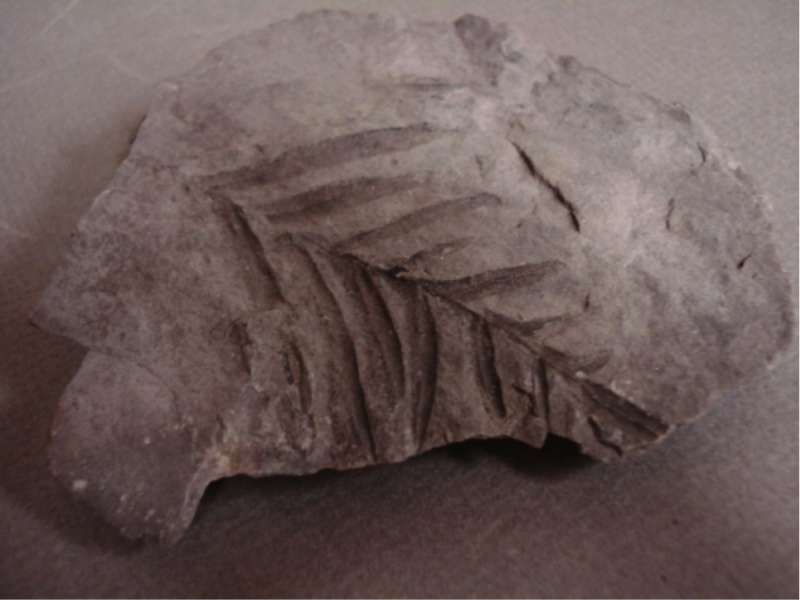 By as early as the Triassic period, evidence of ferns related to several modern families appeared. 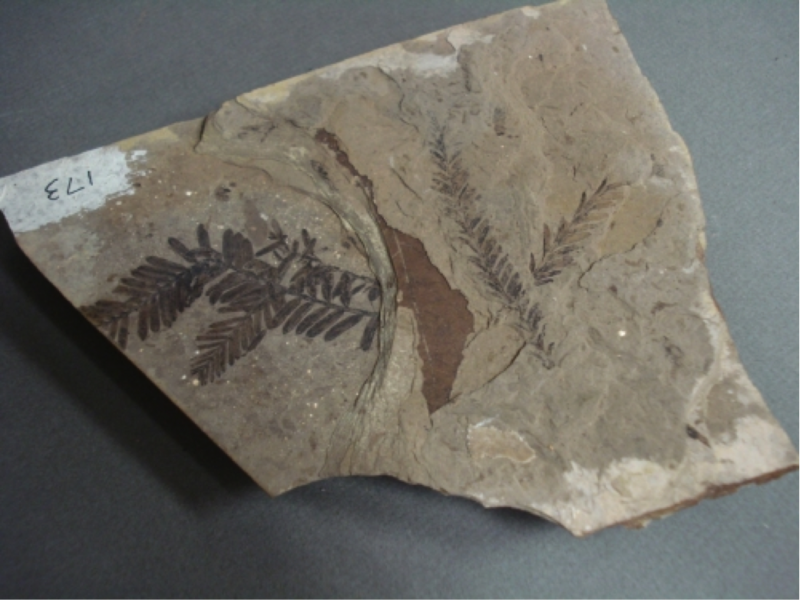 Most modern ferns are leafy plants which grow in moist areas under forest canopy, but prehistoric ferns had various growth strategies, ranging from tree-like, to winding, climbing and epiphytic forms. 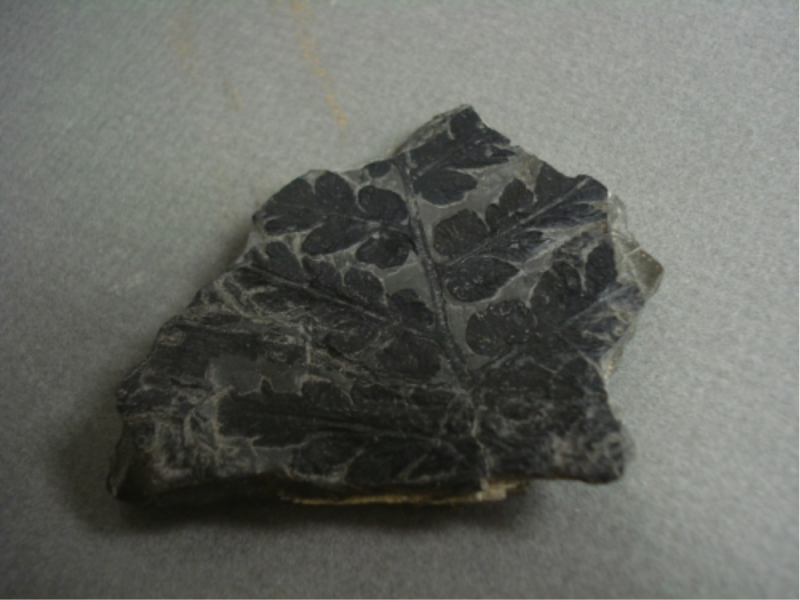 They are “vascular plants” with well-developed internal vein structures which promote the flow of water and nutrients. 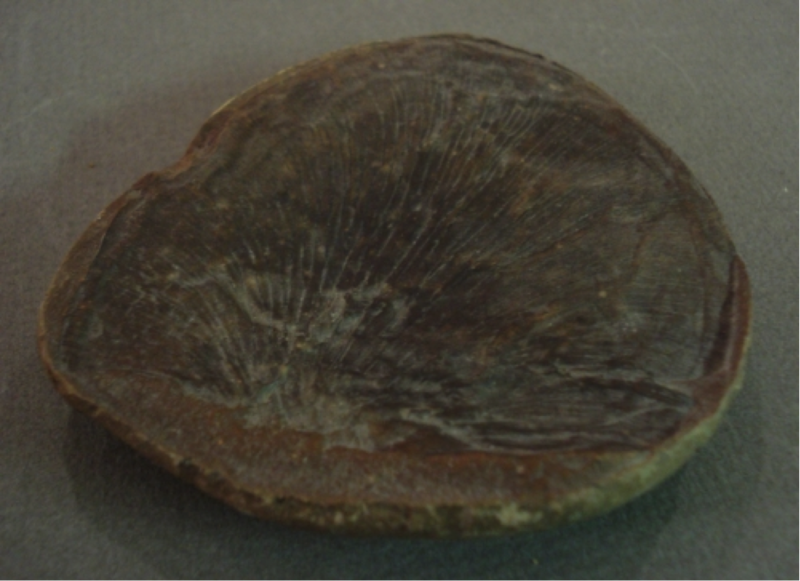 They reproduce from spores. 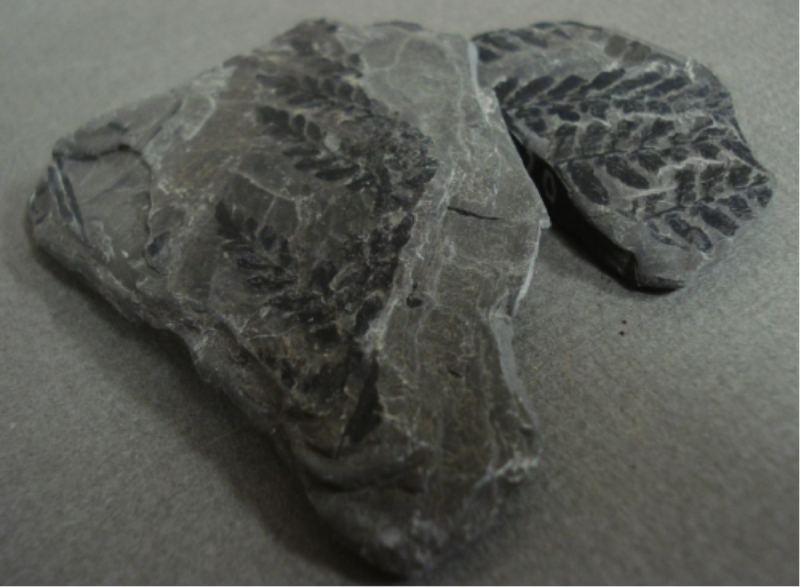 North American Stephonian coals may consist of up to 75% tree fern remains. 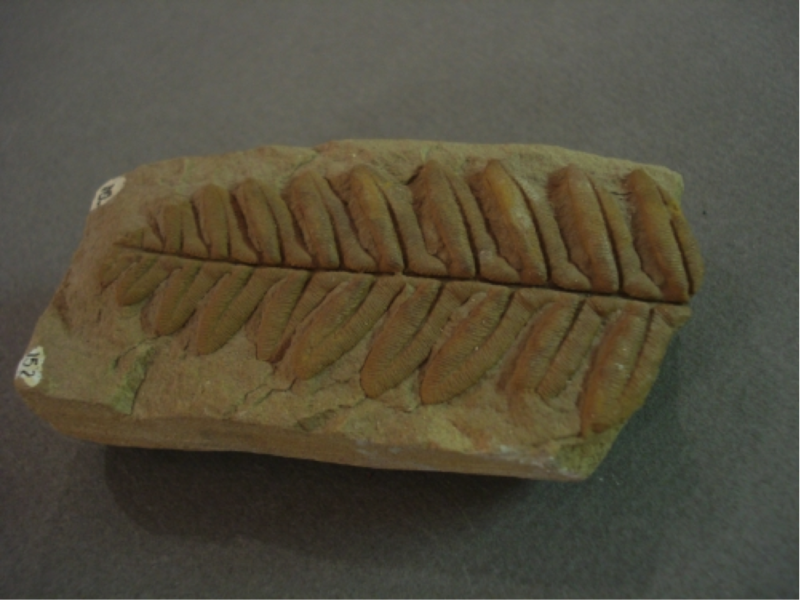 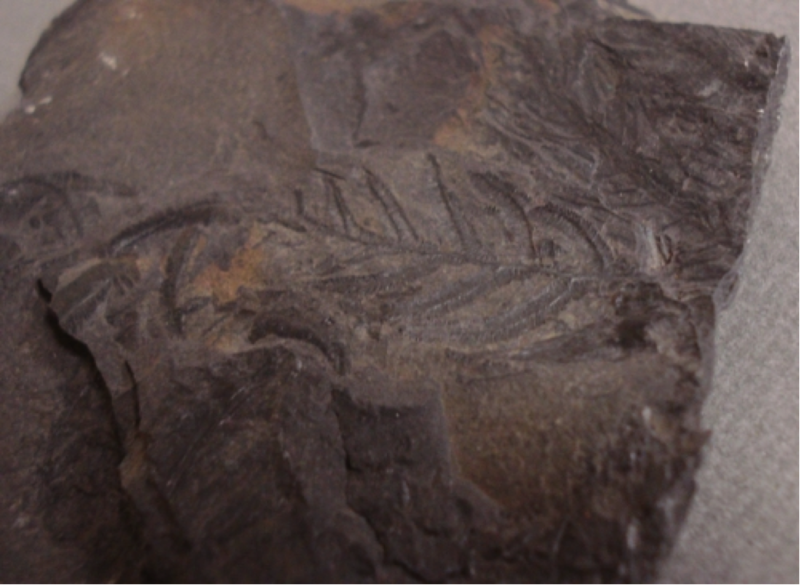 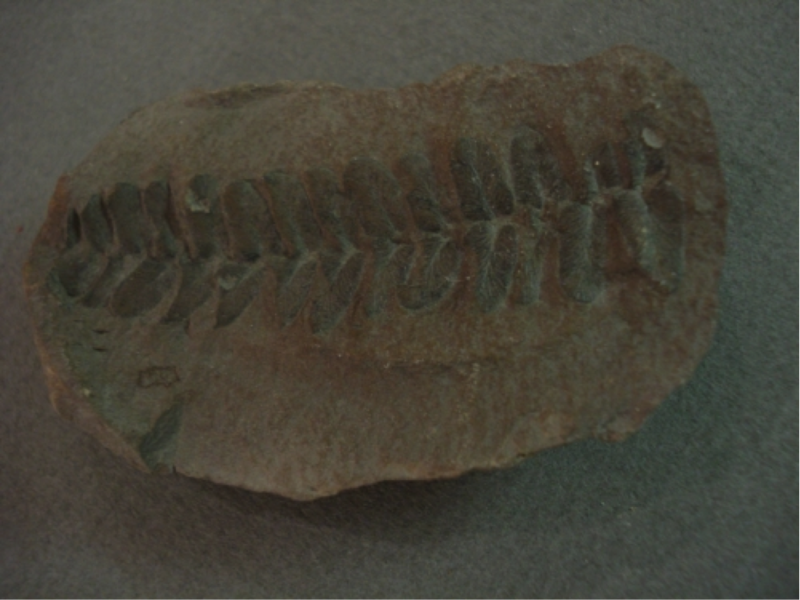 Neuropteris gigantean; Robinhood Quarry, Wakefield, Yorkshire, England; Leaves in an Ironstone Nodule; Collected by Museum Curator, Peter Russell.